When gangster Bugsy Siegel opened the Flamingo in 1946, it was the first large-scale casino-hotel project on a quiet stretch of Nevada desert. Today, Las Vegas is anything but quiet, with massive casino-hotels stationed like giant soldiers on the world-famous Strip. Though the final cost of building the Flamingo was plenty hefty—$6 million, an exorbitant amount of money at the time—Siegel couldn’t possibly have imagined that another casino-hotel complex would one day eclipse his property in both cost and size. You could fit six Flamingos inside The Venetian…or MGM Grand…or City Center (which includes The Aria and Mandarin Oriental among its 5 towers). And Las Vegas as a whole is now home to 14 of the world’s 25 largest hotels. But Vegas wouldn’t be Vegas if it wasn’t constantly tinkering with things—trying to build a better mouse-trap if you will. And while 2018 will only see only one major hotel opening on the Strip (the Asian-themed Lucky Dragon), there are myriad renovations currently in progress as Sin City tries, yet again, to upgrade its status. Here are the most notable renovations currently taking place on the strip and why I think the two best hotels remain the same. So, who’s hitting that refresh button in 2018? Rooms at Monte Carlo, Caesars Palace, Flamingo, Planet Hollywood Resort, The Cosmopolitan of Las Vegas, Harrah’s, Bally’s and Palazzo are all either already being refurbished or soon to be embarking on the process. Caesars Entertainment Corp. is leading the charge, investing about $350 million to upgrade nearly 4,500 rooms at the Flamingo, Bally’s, Planet Hollywood, and Caesars Palace, according to a report by Oppenheimer. Meanwhile, The Cosmopolitan kicked off their new project early this summer, investing approximately $150 million to upgrade 2,800 rooms through 2018. Another notable renovation is taking place at the Palazzo, which is enhancing its rooms for the first time since opening its doors in December 2007. Now, recent occupants of the aforementioned might be scratching their heads over all this renovating of hotels in seemingly great condition. While it is true that some of them are simply seeking newer looking rooms, it’s also notable that Vegas’s popularity continues to flourish. Strip occupancy averaged a whopping 92 percent in 2017, thus giving operators more financial firepower to reinvest in their properties. 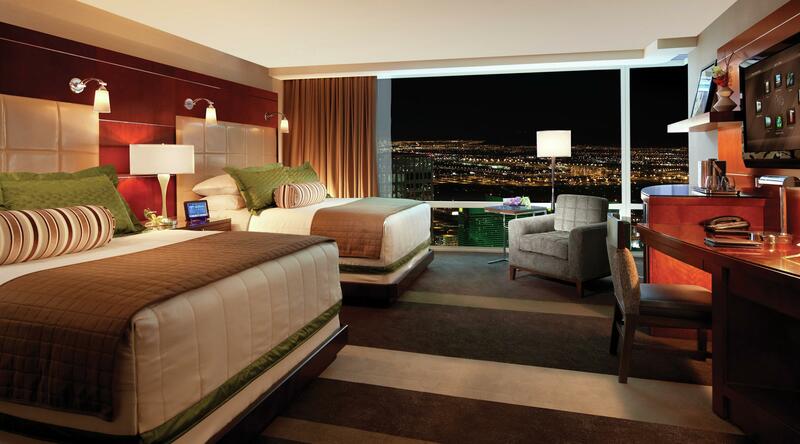 And with business booming, Vegas’s elite are not stopping at just the rooms; they go big so their guests don’t go home. MGM Grand, for example, is investing approximately $130 million into the expansion of its Conference Center. Once completed, the new space will connect to the existing conference center on all three of its floors and boast a courtyard that can be made available for private events. Other luxe additions include two new ballrooms, three junior ballrooms and 11 breakout rooms. Renovations, which began in June 2017, are expected to be complete by the end of this year. Post-renovation, the entire second floor of the new Conference Center will be devoted to the brand’s Stay Well Meetings. Introduced by the MGM Grand in 2014, these are billed as the industry’s first wellness-focused meetings offerings, and are meant to offset the traditional stresses of business conferences by stimulating healthy, productive and creative work environments. 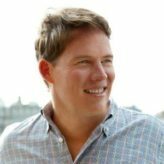 The approximately $450 million transformation of Monte Carlo, which will touch every element of the property, will include two distinct hotel experiences: a Las Vegas version of NYC-based Sydell Group’s widely acclaimed NoMad Hotel, and the launch of a new luxury hotel, Park MGM. In addition to fully redesigned and renovated hotel guest rooms, each hotel will feature innovative and exciting food and beverage experiences unique to the Las Vegas market, including the award-winning NoMad restaurant and renowned Italian marketplace, Eataly. 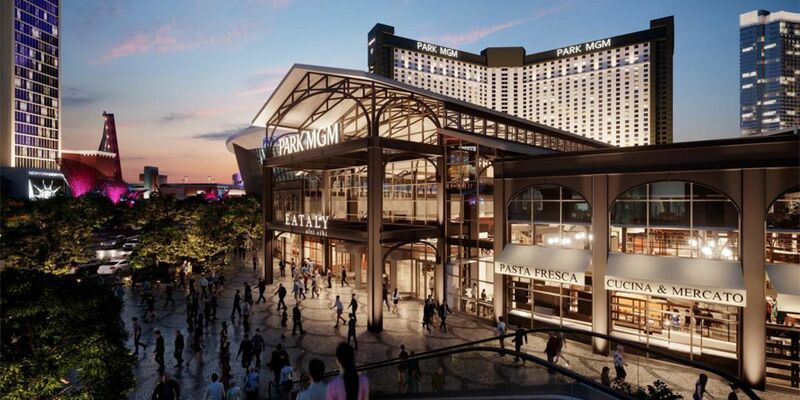 Park MGM and The NoMad Las Vegas will become the final pieces of MGM Resorts’ complete neighborhood redesign of the central Las Vegas Strip, a project that has been in the works since the 2009 introduction of CityCenter. MGM’s plan to rebrand and redesign the outdated and somewhat dilapidated Monte Carlo into Park MGM and Nomad is undoubtedly a great decision. The Monte Carlo had become outdated, with virtually no synergies or historical cache to appeal to today’s visitors, young or old, to the Strip. However, based on a recent visit to the property (albeit in its unfinished form), it remains to be seen how much they can do with the underlying infrastructure to justify the kind of room rate increases they are hoping to achieve. The comparison to ARIA’s tangible energy—which is sure to occur when you note the competition’s proximity and price differential on rooms (only about $100 more, and that difference may become even less once Park MGM is fully completed)—was stark and left an underwhelming impression. Admittedly, the upgrades to the casino floor were notable. I could clearly notice the three quarters of the casino floor that had been updated—new tables, slots, a more modern decor and an attractive circular, zinc-plated bar that would look nice on any casino floor. The overall vibe of the hotel is much more simplistic than one would expect, though, which might lend well for convenience but will do the property no favors in standing out among its grandiose rivals. While MGM has noted that the hotel was “conceived to target a younger, well-traveled demographic seeking unique experiences and innovative design,” my observation did not meet those expectations. The clientele at the time of my visit was comprised of a variety of ages, with no single demographic more present than another. What I did notice, however, was that Park MGM had a decidedly non-gambling, more conservative, business-traveling type of visitor checking in. Indeed, walking through the long hallway from the Aria to Park MGM felt like walking from a Grand Hyatt into a Holiday Inn. This spot is more virtue than vice, so if you are looking for easy access to the many new “park” restaurants adjacent to this space, a central location on the strip, and tasteful rooms, these quiet confines are sure to please—the addition of Nomad and Eataly (both of which are both scheduled to open later this year) not withstanding. For my money, though—and also those looking for an edgier, more Vegas-oriented scene—the hotel next door is a much better bet. And seeing that MGM has their name on both, I’m guessing they’re the rarity in this town who are going to come out even. The second half of Park MGM will include The NoMad Las Vegas, which is expected to draw upon the success and distinctive luxury experience associated with the original NYC Nomad. 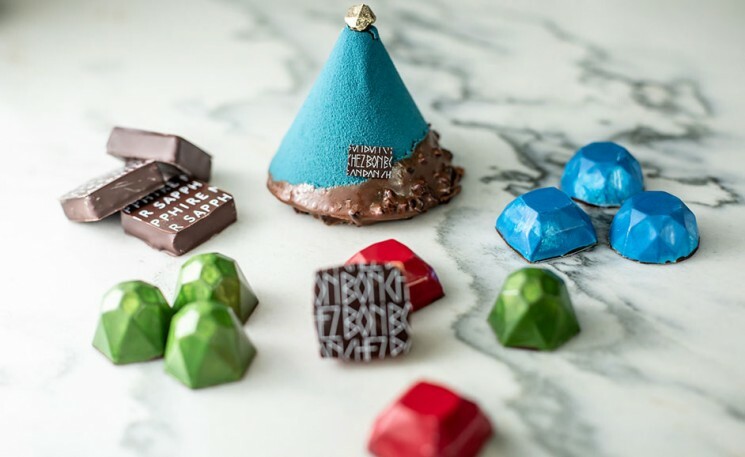 The NoMad Las Vegas will offer 292 guestrooms and suites, a dedicated drop-off, lobby, and swimming pool, as well as NoMad gaming, eating and drinking experiences. Sydell Group will once again team up with Chef Daniel Humm and restaurateur Will Guidara, the creative and culinary forces behind The NoMad restaurant in New York and Eleven Madison Park, one of the only restaurants in the country to receive 3 Michelin stars and the only restaurant in America in the Top 10 of the San Pellegrino list of the world’s best restaurants. The NoMad Las Vegas design will be a collaboration between Sydell Group and legendary French designer Jacques Garcia, the visionary behind Parisian hotels such as Royal Monceau and Hôtel Costes. This promising property sounds chic, exciting, and quite possibly enough to one day swing my vote away from ARIA. Despite all these promising renovations, the two best hotels on the strip remain the same—and it’s not even close! All of these renovations will surely make the strip nicer than ever—and should result in higher room rates, increased revenues and an overall boost for the cache of the hotel brands that are upgrading. Yet, in my opinion, the two best hotels in Las Vegas remain the same, and it’s not even close. The Wynn Las Vegas, which opened its doors in 2004 and the previously lauded ARIA Resort & Casino, which opened (as part of City Center) in December 2009, are simply a notch above the others. Fans of other high-end hotels on the strip like The Palazzo, Venetian and Cosmopolitan may disagree. 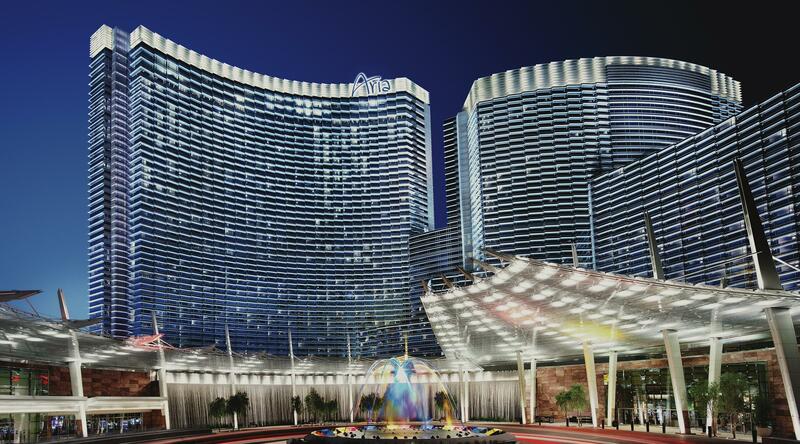 The Cosmopolitan, for example, is comparable to Wynn and ARIA when it comes to restaurants, bars and especially trendiness, but was initially built as a residential tower and that still comes through in the utilitarian style of its rooms (many have rogue conference tables in them). Palazzo and Venetian carry their own weight, too, in terms of rooms, restaurants and amenities (both lay claim to some of the largest standard rooms on the strip). But when you take all the variables together—restaurants, rooms, people, décor, pool and spa, casino floor and just the general flow and vibe—The Wynn and ARIA are on another level. ARIA does not rank among the elite hotels in Vegas when it comes purely to the luxury category, but that is somewhat inconsequential as that is not what MGM was shooting for. And that’s not to say it’s not luxurious. It is in many ways. 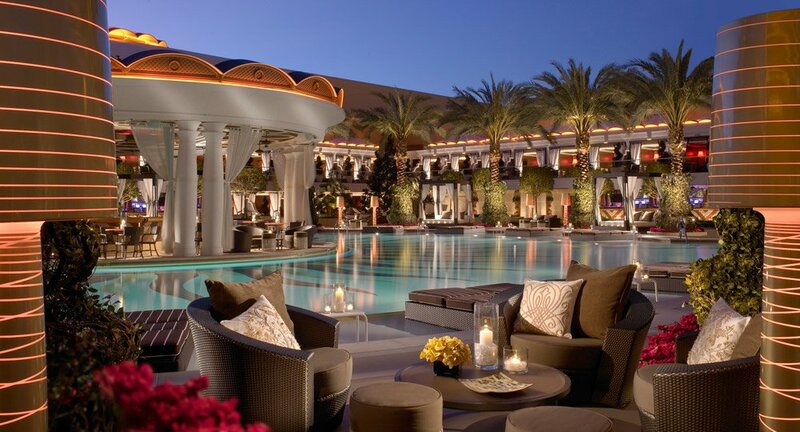 Their restaurants and spa are easily among the best in Las Vegas. But if you’re looking for elite, uber luxurious digs, just walk across the parking lot to the Mandarin Oriental or down the street to the Four Seasons. Of course, you’ll be leaving a lot behind. ARIA has perhaps the best location on the strip—right in the thick of things and only a short walk to some of the best dining and retail that Vegas has to offer. Design-wise, ARIA is different from its rival properties. 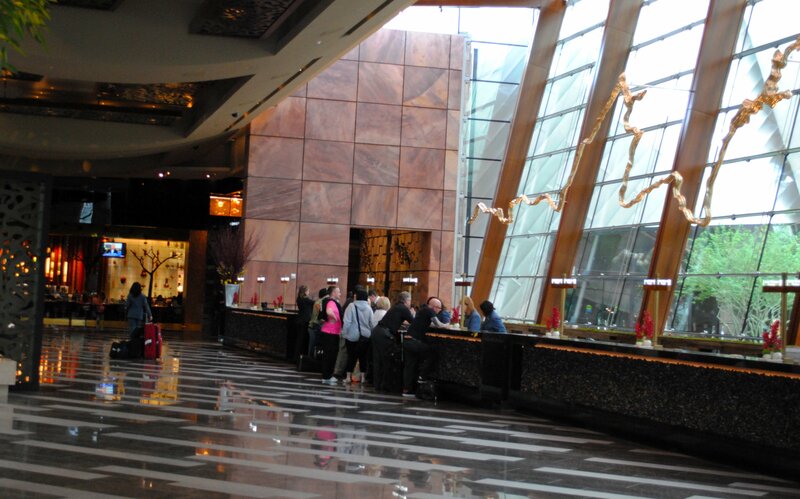 It doesn’t follow an artificial theme and the expansive lobby and casino floor are flooded with natural light as opposed to artificial fluorescent bulbs that can make your head ache after a few hours of gambling. Non-smokers will appreciate the hotel’s use of smell technology: vents emit a vanilla aroma so that even the casino floor (at which smoking is permitted) feels almost smoke free. The environmental and sustainability factors of the hotel—reflective rooftops, on-duty bicycle valets, farm-to-table restaurants, and personal in-room heating/cooling and lighting controls—while not always visible to the human eye, give peace of mind to waste-weary visitors. Most impressively, City Center is not only the first hotel complex, retail district or residential development in Las Vegas to receive the U.S. Green Building Council’s LEED Gold certification, but also the first new construction project of its size in the world to receive environmental certification of any kind. The hotel’s modern and large rooms are decorated in earth tones and dark wood and feature keyless entries and blackout switches by the beds so that guests can retire for the night with one simple switch—a blessing when one considers the plethora of flashing neon signs along the Strip. ARIA is also a culinary heavyweight with an array of fine dining choices. Among its top contenders is Sage, which was a candidate for the James Beard Foundation’s Best New Restaurant award when it first opened and a recipient of one of Wine Spectator’s “Best of the City” Awards in 2016. Full disclosure: I love the Wynn property. Though recent allegations against its ex-owner are very concerning and will certainly be considered by potential guests, I would still like to give my honest assessment of the hotel itself and my experience with their hospitality. 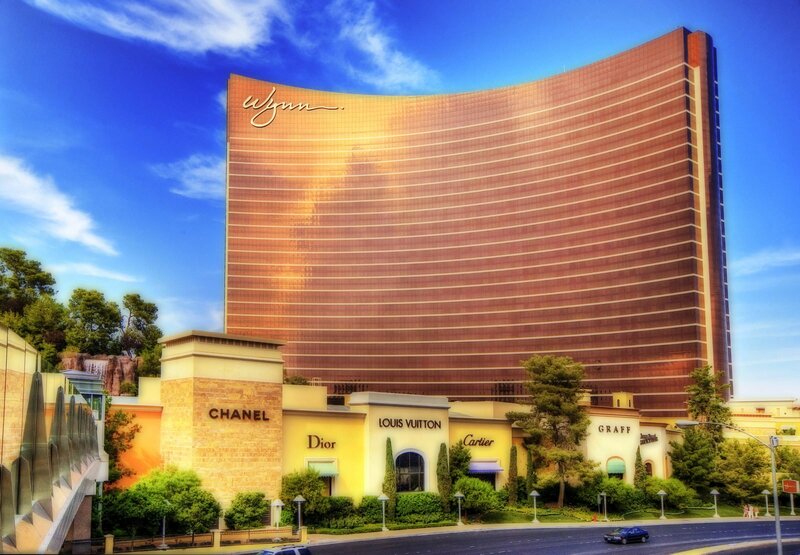 There is no denying what Wynn has accomplished as a hotel in the ever-competitive landscape of the Las Vegas strip. For example, they were once again named the best resort in Nevada on Condé Nast Traveler’s 2018 “Gold List,” a title received for the tenth time since opening in 2005. Wynn and Encore Las Vegas (its sister resort next door which most people bunch together with Wynn as they are connected and have reciprocal privileges for their guests) feature two luxury hotel towers with a total of 4,750 spacious hotel rooms, suites and villas; approximately 192,000 square feet of casino space; 22 dining experiences featuring signature chefs and 11 bars; two award-winning spas; approximately 290,000 square feet of meeting and convention space, approximately 103,000 square feet of retail space; three nightclubs; a beach club; and recreation and leisure facilities. 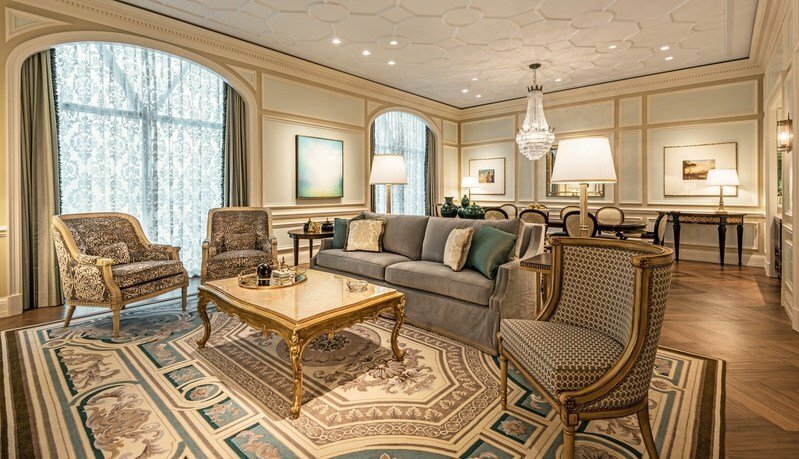 These impressive statistics aside, what makes Wynn so special is the architecture and décor. There is something about the interior design of Wynn that is just different from any other hotel casino on the strip. The balance between whimsically chic and luxurious yet understated elegance is welcomingly present throughout the hotel. For all its impressiveness, it is not gawdy in any way. The Wynn also has one of the biggest and best-looking pool areas in Vegas, including a large European-style pool, pool-side Cabana Bar (tastefully decorated with a French-influenced awning and wood stools) and table games intertwined at the end of the bar—all of which attracts a wide variety of interesting people. 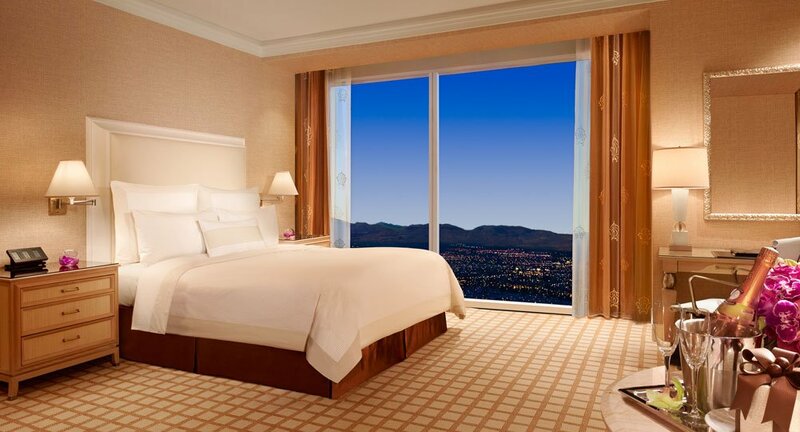 The rooms are designed with floor-to-ceiling windows with views of either the Las Vegas Strip, the resort’s golf course or the lake and mountain. Though I have had exemplary experiences at both the ARIA and Wynn, part of the excitement of Vegas is the thrill of new experiences. Furthermore, people frequent this locale for a wide variety of trip types. Whether you’re looking to sin, win or just take those frequent flyer miles for a spin, Vegas has it all. So, go with your gut and hedge your bets on the property that speaks to you as a traveler. Bon chance!